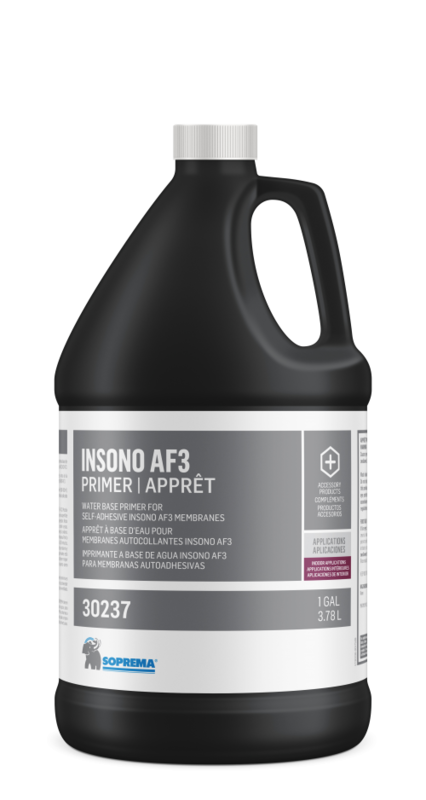 INSONO AF3 PRIMER is a water-based polymer emulsion primer. It is designed to improve the adhesion of self-adhesive soundproofing membranes INSONO AF3 on most substrates. Particularly recommended when the use of solvent-based primer is not advised. Tools with uncured adhesive can be cleaned with water. Tools with cured adhesive can be cleaned with solvents, such as mineral spirits, Varsol, xylene, etc.